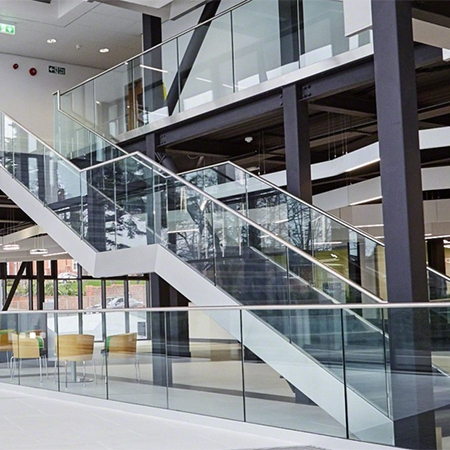 Q-railing’s Easy Glass® range has been chosen to provide balustrading for the staircases and upper floors at Stourbridge College. Stourbridge offers a wide range of vocational, academic and apprenticeship courses for people of all ages, including school leavers. In spring 2015 5 million pound refurbishment of their facilities was completed. Students are now benefitting from a new reception area, meeting spaces, classrooms and a Centre of Excellence. 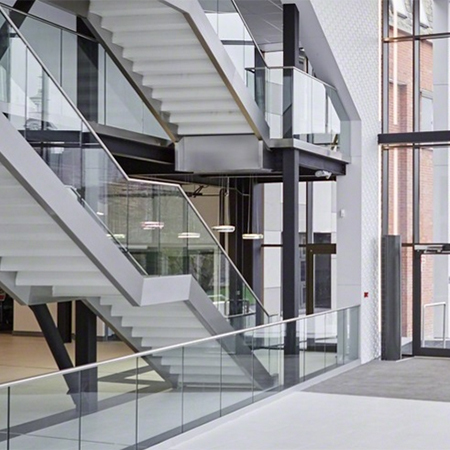 The project architects required a balustrade and staircase railing that reflected the dynamic, high-tech environment of the college. Q-railing’s Easy Glass® range answered their requirement perfectly. 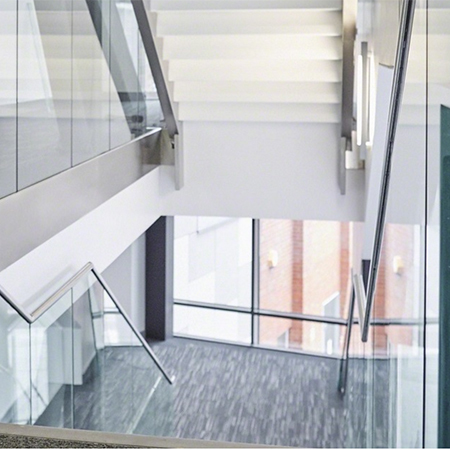 The Easy Glass® Slim and Easy Glass® 3kN systems were ideal for use on the staircases, and as balustrades on the upper floors, as they create a safety barrier without blocking views or compromising on design in any way. Tri-Dev, Q-railing’s recommended installer for the Midlands, carried out the entire installation. That included a bespoke cladding, which makes the railings appear to rise directly out of the floor or stairs.